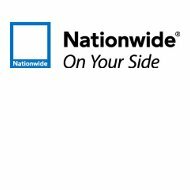 A Farmland Mutual Health Insurance Company review determined that this is a subsidiary of Nationwide Insurance Company. Farmland Mutual is one of over 120 affiliated Nationwide Companies. This company is one of the nation’s leaders in insurance products. To get health insurance rates today, simply enter your zip code here and you will see comparative quotes from companies in your area. Farmland Mutual is an affiliate that concentrates its efforts on the agricultural corner of the industry. This satellite office is headquartered in Des Moines, Iowa, and specializes in property and casualty. This type of coverage protects homes, farm equipment, vehicles, livestock, business equipment, and any other aspect of operating a farm or ranch. Ranchers are an important part of the agricultural business in that this is where much of the country’s livestock is raised for development and production in preparation for consumption. When most people think of livestock ranches they think of cattle ranches. Other types of ranches exist such as horse, guest, community, and estates. Horse ranchers may have a more diverse purpose in their daily operations. There are hunting ranches for those who want to hunt wildlife. Guest ranches, acreage estates, and community ranches are very popular for profit hospitality and entertainment businesses. Just as there are different types of ranches, there are different types of farms. Grain farms and dairy farms are two examples of commercial farms. Due to its commercial practices and product sales, it requires business insurance coverage. Business insurance requires a higher dollar amount of liability and surety bonds, in addition to worker’s compensation, and commercial auto insurance in many cases. Health insurance is another consideration for the family if not your employees. Farmland Mutual Health Insurance offers employer plans that supplement other policies, and plans that stand alone. The accident and hospital options are called Cashback plans that are intended to serve as a supplement to existing coverage and high deductibles. This plan reimburses the policyholder for deductibles, hospital and accident expenses. The plan pays you, the policyholder, rather than the provider. For this coverage there has to be at least 51 employers and 25% participation in the program. The dental program is a PPO or preferred provider organization plan called the Careington Maximum Care Network. They offer 26 different flexible plans and no deductible if you use in-network providers. This program offers several unrelated options such as health risk screening, healthy lifestyle coaching, and disease, disability and other types of management. The disability program is very extensive in that it does not stop at short and long-term disability payments in the event you or an employee suffers from a debilitating illness or injury. This plan assists in modifying your work environment, rehabilitation and other incentives to help the policyholder get back to work. Long-term disability also includes a list of other incentives such as an education component. If all of this is not enough for your employees, Farmland also has business travel coverage, retirement plans, and life insurance. Your business travel coverage has different options mainly related to accidents or trip interruption. All of these options are also available for you and your family as part of an individual plan. Although you may want to protect your employees with the best healthcare options affordable, you also have to protect your company from catastrophic losses. This is very possible with the types of existing risks involved with operating a farm or ranch. A medical stop loss plan protects your business against that unanticipated event that may potentially devastate your business. Medical stop loss coverage is essential for a business that chooses to self-insure rather than purchase Farmland Mutual health insurance coverage. Your stop loss policy usually has a cap of between two and five million dollars spent before it kicks in and covers the excess. Excess medical is another name for this type of coverage. It is hard to narrow down the overall consensus of a hundred year old company. Currently however, reviews are still mixed and laden with complaints from people who were involved in accidents with Nationwide or Farmland Mutual policyholders. Regardless of the mixed reviews, the company still holds an A+ from A.M. Best and A1 from Standard and Poor’s. To get health insurance rates in minutes, simply enter your zip code here in the search tool provided.